I'm running Turbotax 2018 Deluxe 2018.31.13.231 on Windows 10. The app crashes sometimes when I advance topics filling in forms and sometimes when I save the file. It has done this 5 times in about 30 minutes today. A few days ago when I first used it the app closed when I saved the file and I just assumed I had selected a save-and-close menu option and thought nothing of it at the time since I was done for the moment. When I ran the app today there was no file and I had to reenter everything. When I restart the app it recovers the file and sometimes I lose data, sometimes not. I don't see a log file that I can check. Has anyone else encountered issues like this? Is the app not yet stable? I find it hard to trust an app that crashes this frequently and I am not thrilled about have to keep reentering data. You call it "the app" as if you're on a mobile device such as an android. However, you clearly state you're Windows 10. So I'm assuming you are on a full fledged windows computer and not something like a Chromebook or some other cheap throw-away technology. I've been using multiple versions of the CD/Desktop software on my windows 10 pro computers (3 of them) and no issues with stability at all. I strongly suspect you have other issues. So here's some wild guesses of things to try based on no facts what-so-ever. - After physically disconnecting the computer from the Internet, disable "real time protection" on whatever antivirus program you're using. If using a separate malware program, turn that off too. Then use the TTX program and see if remains stable with the antivirus turned off. If it does, then you potentially have issues with the antivirus. - Make sure that either Controlled folder access is turned off (which I do not recommend you leave it off) or that C:\Program files(x86)\TurboTax\[yourversion]2018\32-bit\turbotax.exe is allowed to bypass controlled folder access. I have got the very same problem. It is barely usable, crashes randomly. Sometimes it saves the work, sometimes it does not. Tried on 2 computers, same result. I have the very same problem on two separate computers even after I applied the manual update. Also, while I appreciate the suggestion regarding antivirus, these days everyone has to have anti-virus/anti-malware on their systems for protection so Intuit needs to provide products that coexist with these protections. Same problem: TTX 2018 Deluxe running on Windows 10. It crashes without warning or any error message at different points. Crashed several times just entering basic info to start a new return. Farthest I've gotten is mid-way through entering income items. Sometimes it saves data sometimes it doesn't. I'm getting tired of re-entering the same info over and over. Someone at Intuit needs to start looking at this and tell us what's going on. It would be nice to know they are aware and are trying to fix this. Same problem... 2018 turbotax Deluxe on Windows 10. MacAfee antivirus... but I agree you shouldn't have to disable antivirus to run a program. I did change my settings to Administrator permission for Turbo Tax. That seemed to lessen the crashes but still too often. I'm annoyed because I had issues with downloading 2nd state in 2017 last year and customer service took a long time to determine they had a known bug and give me the solution. Afterwards, I couldn't get a credit on the 2nd state I purchased twice due to their bug and direction I received from Customer Service. 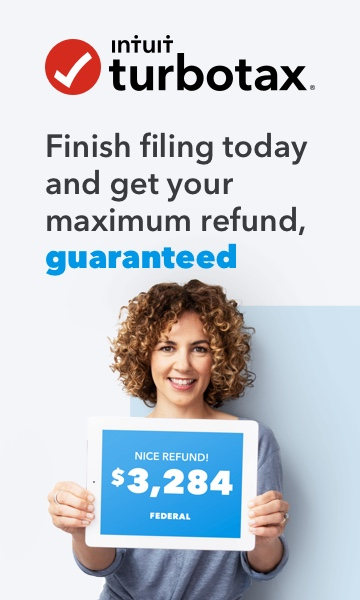 I have been using Turbo Tax for many years... but I'm starting to lose confidence in Intuit. I hope at some point they give this some attention and put out a solution. If Intuit does not fix this in the next month or so, I will want a refund so I can purchase HR Block Tax Cut instead. I never had problems of this magnitude before with TurboTax, it is just unusable. And support seems to be missing in action! I spent close to two hours on the phone yesterday with TTax technical support and still do not have a resolution. Their focus was almost exclusively on firewalls, virus, and malware protection which was disappointing. I've spoken to four tech support individuals now and all were unaware of the difficulties we're having so I suggested they have representation in these forums and let them know this issue affects the complete TTax line of products. At the conclusion of the call yesterday the representative was going to escalate the issue to their application development staff so I hope something good comes from that. Just chiming in - another Windows 10 (Home) user , with Norton 360 antivirus and firewall that I will NOT turn off, and I can't go more than a few minutes without the program shutting down. I'm preparing to return the software and go with another brand. LONG time Intuit user (Quicken more than TT) who lost faith in Intuit when they let Quicken go all to hell (yes, I'm aware it's not their product anymore). Now I know not to rely on their tax software, either.